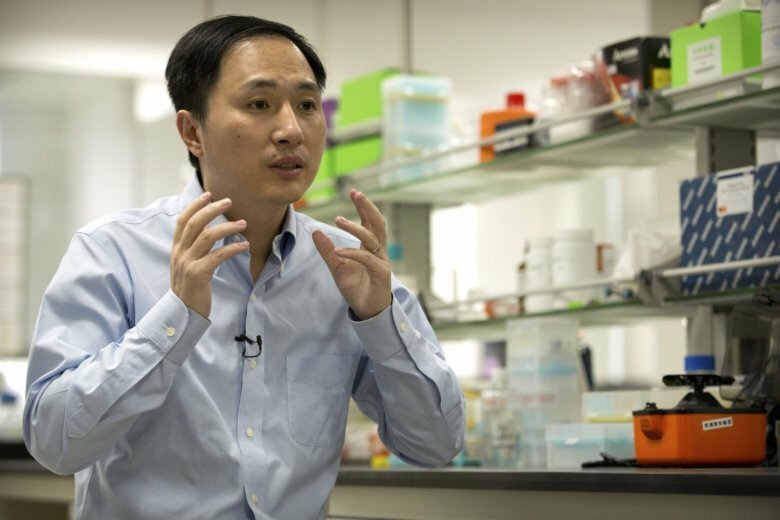 A Chinese scientist who claimed he helped make the world's first gene-edited babies is now under investigation by government bodies and by his own university. WASHINGTON (AP) — The rebuke from China was fast and furious. He Jiankui, a 34-year-old associate professor based in the southern Chinese city of Shenzhen, said his lab used the powerful gene-editing tool CRISPR to alter human embryos — leading to the births of twin girls earlier this month, he said. The National Health Commission on Monday ordered local officials in Guangdong province —where Shenzhen is located — to investigate He’s actions. China’s state broadcaster, CCTV, reported Tuesday that if the births are confirmed, He’s case will be handled “in accordance with relevant laws and regulations.” It’s not clear if he could face possible criminal charges. He also faces probes by the Shenzhen City Medical Ethics Expert Board and the Chinese Academy of Science’s academic division. He’s research team included his former Rice University adviser, physics professor Michael Deem, who sits on the scientific advisory boards of He’s two genetics companies. Rice said it has launched an investigation into Deem’s involvement. “So far the main response within China is to condemn and criticize this work,” said Jing-Bao Nie, an expert on Chinese bioethics at the University of Otago in New Zealand. AP researcher Fu Ting contributed to this report from Beijing.